Imagine being able to stop smoking free of withdrawal symptoms and the ability to change the pattern of your smoking habit into something positive and healthy…. 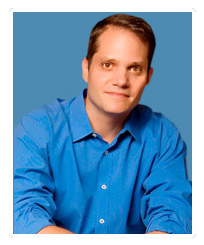 Hypnosis to stop smoking is one of the most effective ways to overcome your addiction. 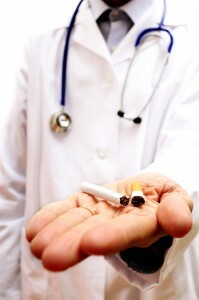 Hypnosis is different from other types of quit smoking treatments in that while you under hypnosis, your hypnotist will plant suggestions in your subconscious that will create an aversion to smoking, then enhance the appeal of your smoking substitute, and improve your ability to overcome the stress that normally leads to cigarette cravings. Your hypnotist will work with you to create new lifestyle changes and reduce your need to smoke in order to feel good. Nicotine is an extremely addictive toxin that works much like the neurotransmitters in the body’s nervous systems that control dopamine- the body’s natural pleasure chemical. This is why smoking is physically and mentally addictive; it activates dopamine and affects the pleasure center of your brain. It is also why quitting smoking can be so difficult. Most people who are addicted to smoking have spent many years training their mind and body to expect a cigarette at certain periods of the day and in certain situations. Maybe you have trained your mind to expect a cigarette after each meal, during breaks at work, and in times of stress. You probably have your first cigarette just about the same time every day, and you probably end your day in much the same way. Smoking for most people is like a ritual habit, one that is very difficult to break. This is where hypnosis for stop smoking is especially effective and why gums and patches fail; they only address the physical cravings for nicotine. Hypnosis reaches more than just the physical addiction of smoking; it goes clear to the root of your addiction, the ritual habit that is engrained in your subconscious. Stop smoking hypnosis can be used in conjunction with other smoking cessation therapies like patches, gum, or medication, or it can be used wholly on its own. The great thing about stop smoking hypnosis is that your hypnotist creates a stop smoking hypnosis session plan that works best for you and your individual situation. No two people are alike and we know that the emotional and physical draw to smoking can be much stronger in some than in others. That is why our stop smoking hypnosis programs are individualized; so you can finally be free of your smoking addiction and enjoying a healthy, positive lifestyle permanently.